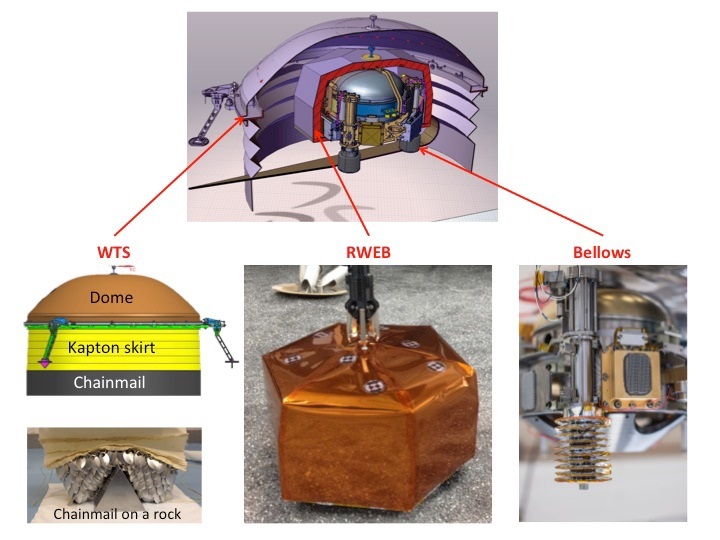 Various news articles reporting the deployment of the heat and wind shield over the Insight seismometer describe it as measuring "vibrations that have an amplitude comparable to the size of an atom." or "tremors smaller than a hydrogen atom!" While amazing, this actually sounds pretty coarse by modern standards (compare LIGO which is sensitive to attometer scale distortions of its optical paths for instance). Does anyone actually have figures for the sensitivity? SEIS is based on a six-axis hybrid instrument using two different sensor types: three Very Broad Band (VBB) seismic probes reside in a tetrahedron configuration within the vacuum sphere and three Short Period (SP) seismic probes are installed around it. These are supported by various temperature and pressure sensors plus a myriad of electronics, power supplies, feedback boards for the sensors and the MDE deployment system. SEIS has a mass of 11.5 Kilograms and is capable of measuring accelerations down to 10-9 m s-² Hz-½ over frequencies of 0.001 to 10 Hz and 5 x 10-8 m s-² Hz-½ from 0.01 to 100 Hz. The SEIS sensor head weighs 8.5 Kilograms and is approximately 30 x 30 x 30 centimeters in size, featuring a hook on its upper face to interface with the InSight Instrument Deployment Arm to be lowered to the ground as part of the mission’s two-month commissioning phase. 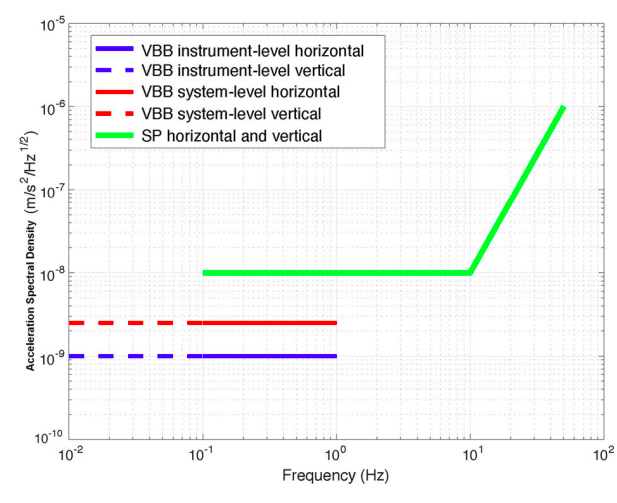 Each of the VBBs is a leaf-spring inverted pendulum seismometer that employs a precisely defined test mass suspended on a pendulum and placed in motion by external inputs from the ground. 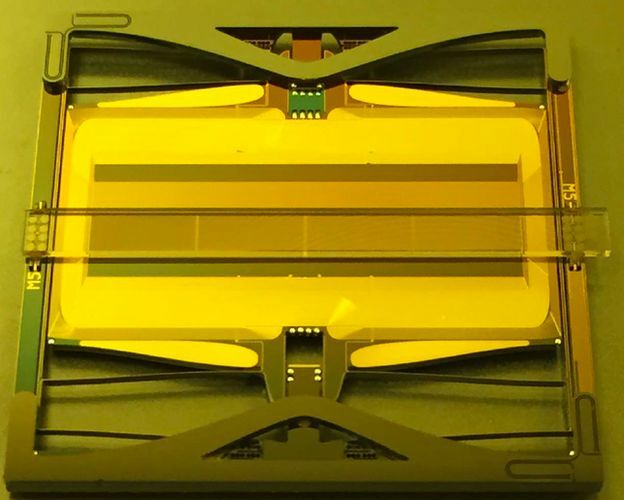 Through highly precise Differential Capacitive Sensors (DCS) and electromagnetic feedback from the three VBBs, a three-axis representation of the ground motion can be reconstructed with nanometer precision. That puts the sensitivity well below 1 Angstrom (10-10) but these are round numbers, and it also requires that the vibration continue for a while to separate it from noise. The estimates that the amplitudes are of the size of an atom are well founded, but it will take significant signal processing, calibration, baselining, and characterization to really get there. All of the vibration isolation and environmental isolation systems will have to be in deployed and in good working order. 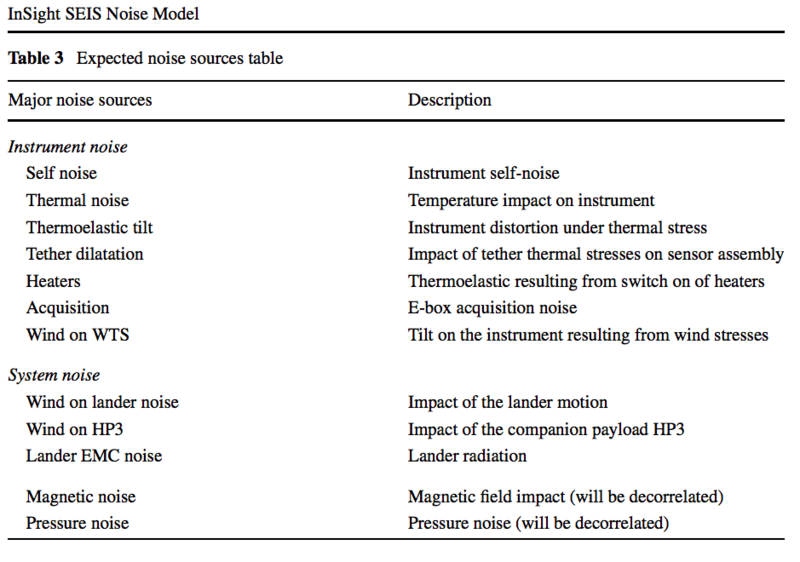 Source "SEIS Instrument Block Diagram – Image: ISAE/IPGP"
Source "Wind & Thermal Shield – Image: CNES/InSight Project"
You can read more about the requirements for the seismometers in The Noise Model of the SEIS Seismometer of the InSight Mission to Mars As you can see the noise and sensitivity analysis is fairly complicated and must take into account a number of contributions. These limits are specs, we will have to wait a while to see how well the system is really performing on Mars. The InSight accelerometers are made from micro-machined silicon MEMS structures and use similar technology to the MEMS accelerometers in personal electronics and games except they are much larger and highly refined. Since the z-axis (vertical) sustains more parallel force due to gravity than the other two axes, it is fabricated slightly differently, and so the noise specs are treated separately for vertical and horizontal. Not the answer you're looking for? Browse other questions tagged insight or ask your own question. Is InSight capable of cleaning itself? Why is the InSight ICC camera still dirty after the lens cover has been removed?